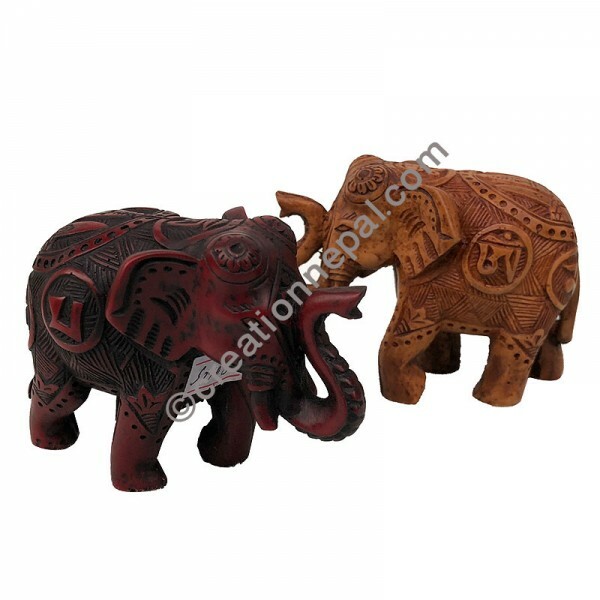 Cute looking antique red or ivory color small size blessing pose cheerful elephant is made out of mixed materials with polymer resins that have exceptional resistance to high temperatures, chemical reaction and corrosion. Since the Resin cheerful elephant is entirely handmade, there can be slight variation in the said measurement. The given weight of the item is calculated for the shipping purpose, so that the actual weight can be different than it is mentioned here.